I recently threw a baby shower for my cousin with the theme “Ready to POP” with many different popcorn recipes for the guests to try. 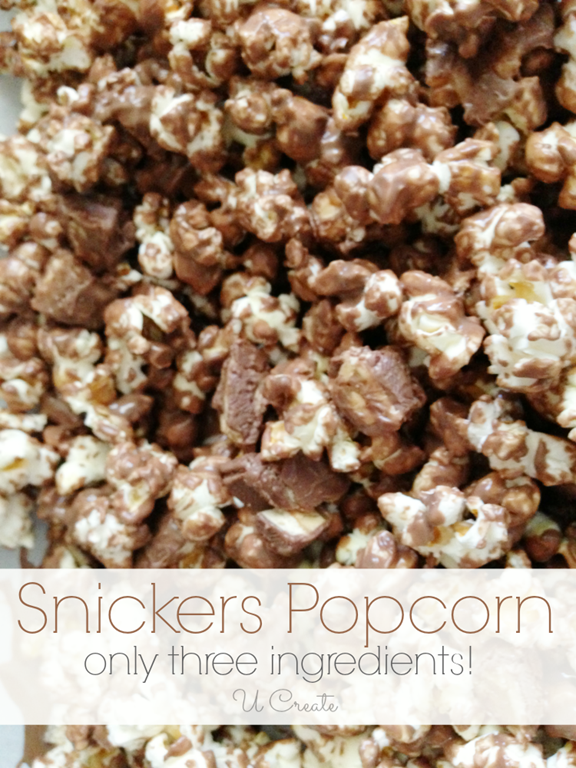 This Snickers recipe that I threw together was a hit and many asked for the recipe! Pop your popcorn by using your favorite method. I just used the super easy microwaveable kind – Smart Pop by Orville Redenbacher is my favorite and doesn’t have very much better. Lay out popcorn on a parchment or wax paper-lined cookie sheet. 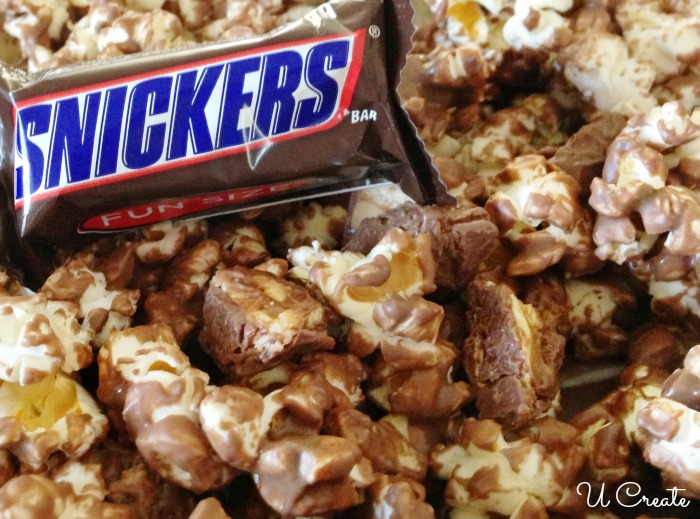 Cut up Snickers mini bars into little pieces. Melt the chocolate candy melts in the microwave on high for 2-3 minutes. Stir. 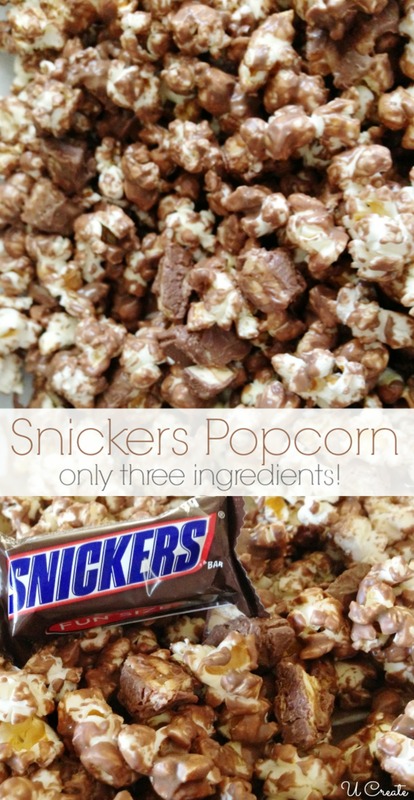 Pour melted chocolate on top of popcorn and sprinkle the snickers bar pieces on top. Mix all together while chocolate is still hot! Let sit for 45 minutes! Hi, this look fantastic! Could you use a different candy bar instead of a snickers? I don’t like peanuts but I love Twix! Absolutely! You can use any candy bar with chocolate in it! I love Twix, too!